The sleekest custom pickup truck in the known universe was declared the Ultimate Best in Show Winner of the Barrett-Jackson Cup competition, taking home more than $43,000 in cash and prizes. 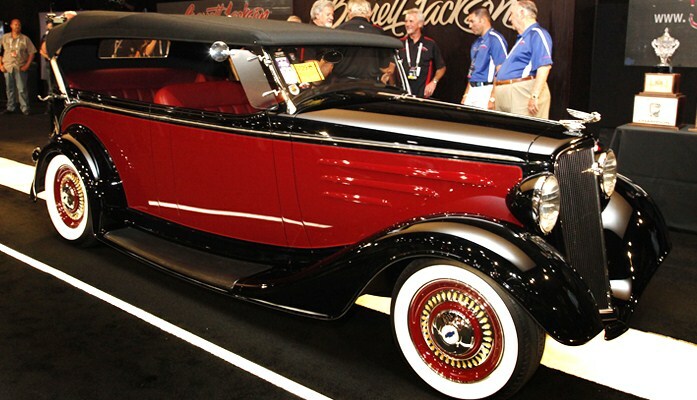 The sleekest custom pickup truck in the known universe was declared the Ultimate Best in Show Winner on Saturday of the Barrett-Jackson Cup competition in Reno, Nevada, taking home more than $43,000 in cash and prizes. 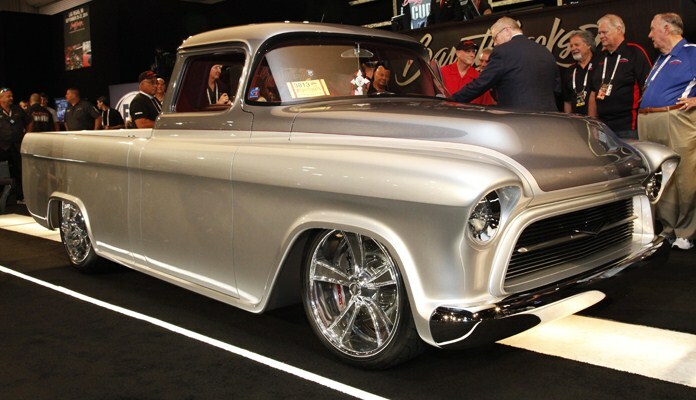 The 1957 Chevrolet pickup, the result of a five-year build by Jason and Jim Smith of the Hot Rod Garage in Sand Springs, Oklahoma, was presented with the award during Barrett-Jackson’s second annual Hot August Nights auction at the Reno-Sparks Convention Center. 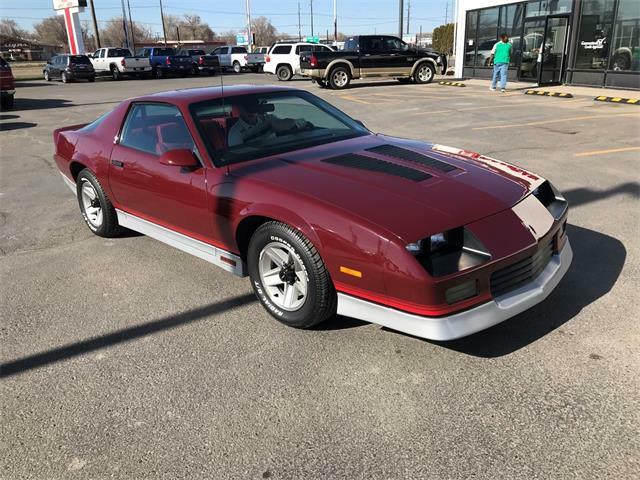 The Barrett-Jackson Cup, also in its second year, is designed as a top-drawer, professionally judged competition of the best-of-the-best custom cars and trucks. The winning Chevy pickup is testament to the high level of the entries: It was the 2013 Goodguys Truck of the Year Late (1953-1972) and a 2013 “Great 8 Truck” at the Detroit Autorama. “The quality of workmanship of the cars in this year’s Barrett-Jackson Cup competition was unbelievable,” said Pete Chapouris, one of the Barrett-Jackson Cup judges and president of So-Cal Speed Shop. “Selecting the final five cars was immensely difficult. More than $100,000 in cash and automotive products was offered for the top five winners of the Cup. The Cup is integrated into the annual Hot August Nights car shows in downtown Reno, part of the sweeping five-day nostalgia festival of streets rods, muscle cars, custom cars and rock ‘n roll. 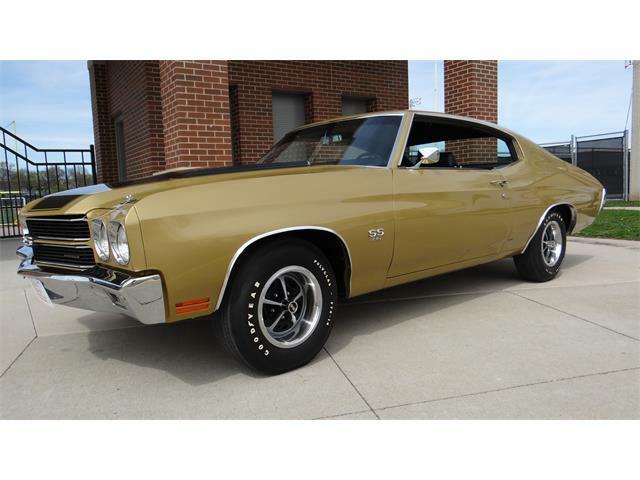 More than 800,000 people and thousands of classic cars were on the scene last year for the shows, concerts and cruising, according to the event organizers. Judges for the 2014 Barrett-Jackson Cup were Chapouris, Bobby Alloway and Bob Millard, some of the most respected names in the custom-car business. They chose 25 cars from the downtown Reno “Show and Shine” car shows, which were then displayed in downtown Reno before five top finalists advanced to the final-awards ceremony at the Barrett-Jackson Auction arena. 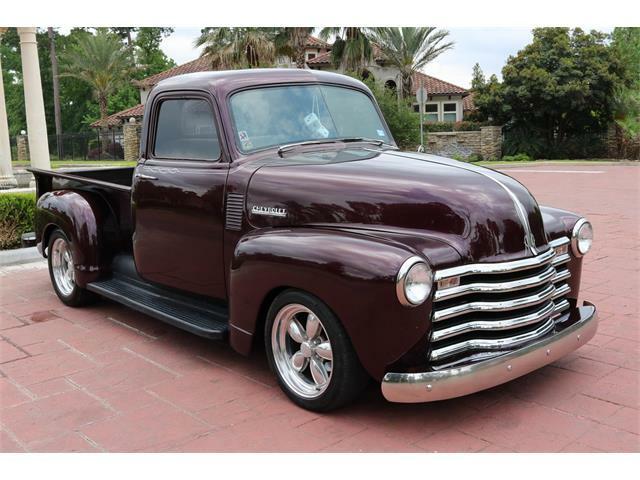 The winning Chevy pickup, owned by Alan Beers, was hand built with modifications that include a 3-inch chop, flush-mounted glass, a pie-cut hood, a reshaped nose and a modified front bumper, custom taillights, and painted with Sherwin Williams Quicksilver and Tungsten. 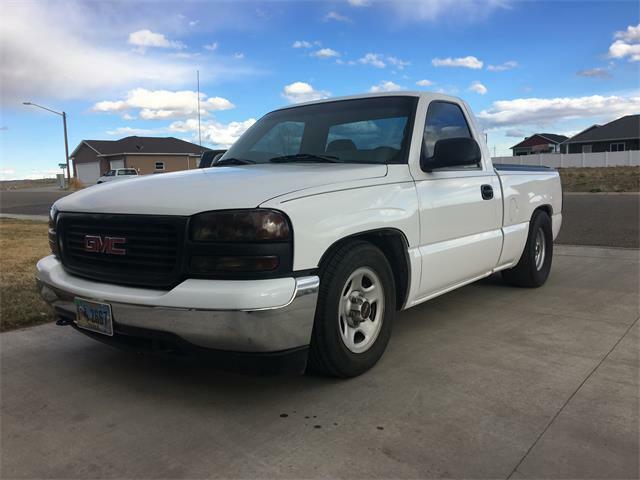 The custom-built frame is fitted with Fatman Fabrications suspension, Bilstein coilovers, 15-inch Baer rotors with custom-machined calipers, and custom-made 20- and 22-inch wheels. The truck is powered by a 540 cid V8 built by Chaz Rose with vintage 1960s Crower fuel injection converted to modern electronic fuel injection, hooked up with a GearStar 4L60E transmission and Ford 9-inch rear. First Runner-up: A 1932 Ford Four Door Built by Hot Rods by JSK that is featured on Street Rodder magazine’s August 2014 cover. 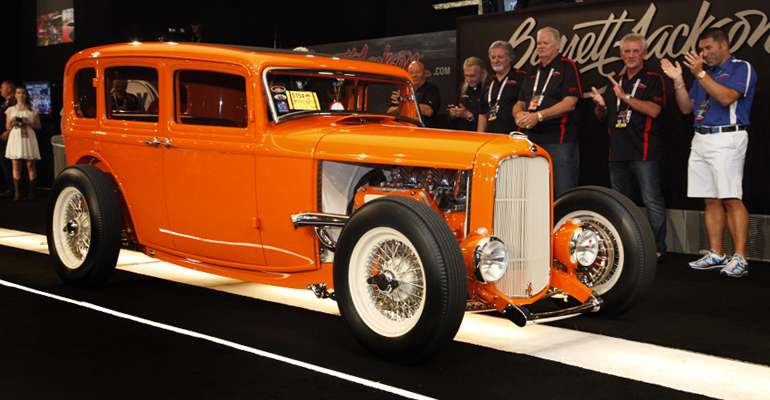 Winner of the 2014 Street Rod of the Year and 2014 “Great 8 Car” in Detroit, it features a handmade body and frame, and modified Ford Y-block V8 with vintage Hilborn intake converted to EFI. Second Runner-up: A 1934 Chevrolet Phaeton designed by Chip Foose and built by the winner of the inaugural Barrett-Jackson Cup, Rad Rides by Troy. 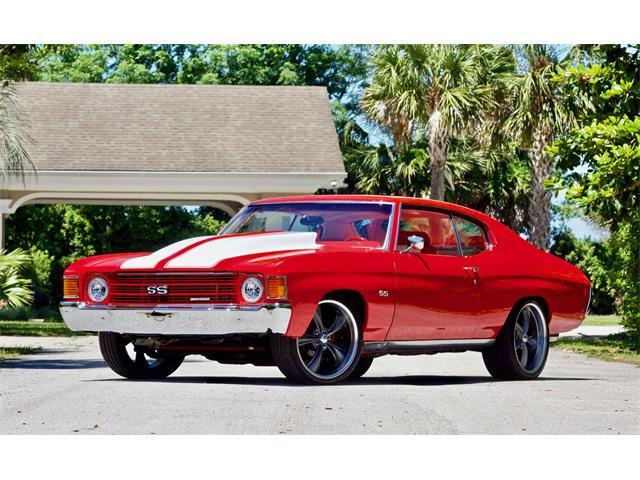 It rides on a modified Roadster Shop Chassis with “Heidt’s” independent suspension all around. GM Performance 383 Ram Jet engine is fed by EFI modified to look like a vintage 1957 Rochester unit. 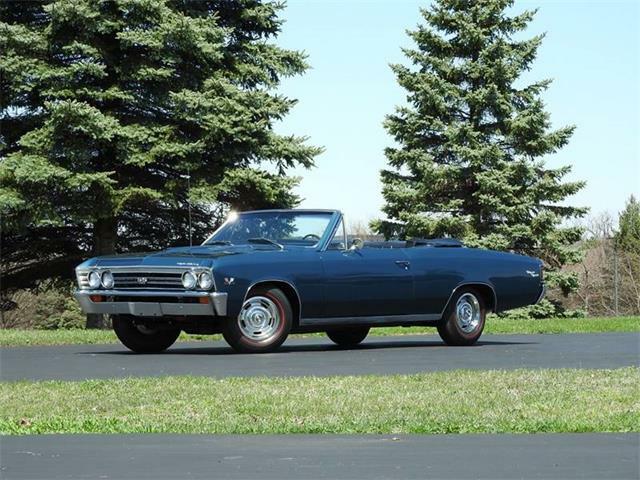 Third Runner-up: A 1964 Buick Riveria by J.F. Launier that was hand-built starting with little more than a $300 “parts car” rusted hulk body. 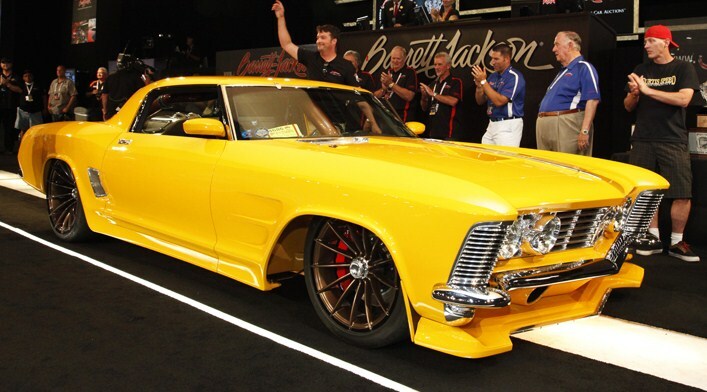 Notably, the Riviera was the 2014 Ridler Award winner at the Detroit Autorama. The rear window and deck are grafted from a later “boat-tail” Riviera. Two rear-mounted turbochargers feed a 6.2-liter Chevrolet V8 by way of a massive intake tube that runs through the cockpit. 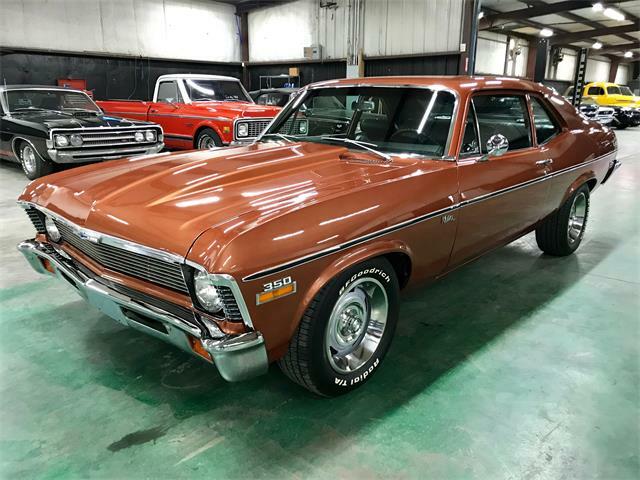 Fourth Runner-up: A 1967 Chevrolet Nova by Miranda Built, powered by a twin-turbo NASCAR small-block Chevrolet engine, with RideTech pro-touring suspension controlled by an iPad. 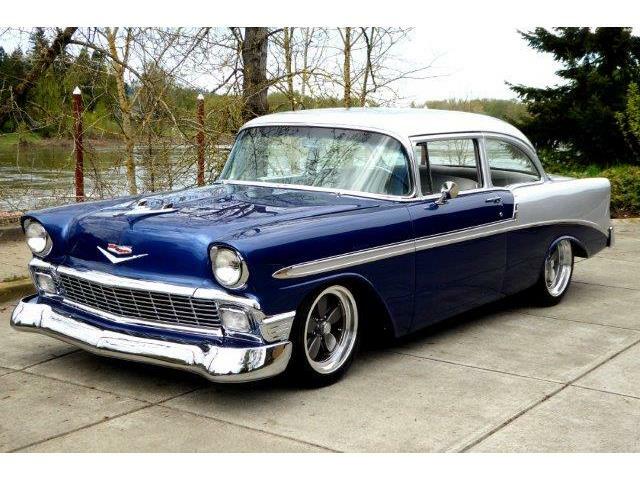 It is a 2014 Goodguys Street Machine of the Year winner and 2014 Detroit Autorama “Great 8” finalist.